are picked randomly by computerised balloting,powered by the Internet. 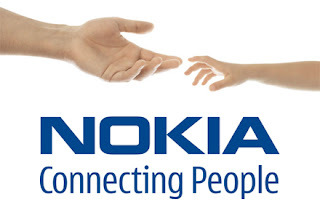 your Personal Information to our redemption centre. Pounds (500,000.00 GBP) offered by Shell Petroleum Company of England. from over 43,000,00 companies and individuals e-mail addresses worldwide. for your prize claim immediately. 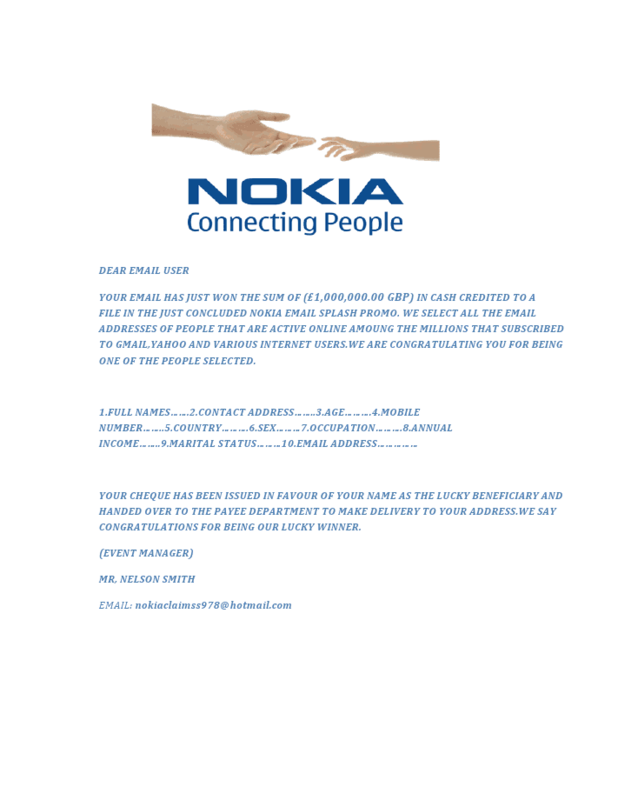 YOUR EMAIL HAS JUST WON THE SUM OF (£1,000,000.00 GBP) IN CASH CREDITED TO A FILE IN THE JUST CONCLUDED NOKIA EMAIL SPLASH PROMO. 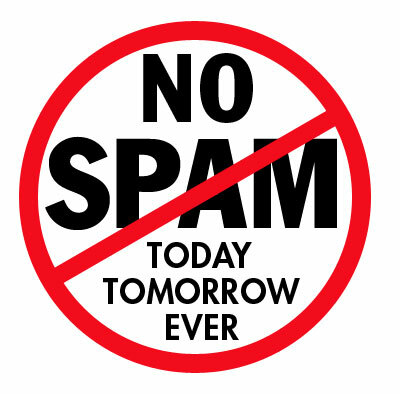 WE SELECT ALL THE EMAIL ADDRESSES OF PEOPLE THAT ARE ACTIVE ONLINE AMOUNG THE MILLIONS THAT SUBSCRIBED TO GMAIL,YAHOO AND VARIOUS INTERNET USERS.WE ARE CONGRATULATING YOU FOR BEING ONE OF THE PEOPLE SELECTED. YOUR CHEQUE HAS BEEN ISSUED IN FAVOUR OF YOUR NAME AS THE LUCKY BENEFICIARY AND HANDED OVER TO THE PAYEE DEPARTMENT TO MAKE DELIVERY TO YOUR ADDRESS.WE SAY CONGRATULATIONS FOR BEING OUR LUCKY WINNER. sender-time: Sent at 11:46 AM (GMT+05:30). You Have Won 850,000.00 GBP On The MICROSOFT YAHOO On-line 2011 Award. 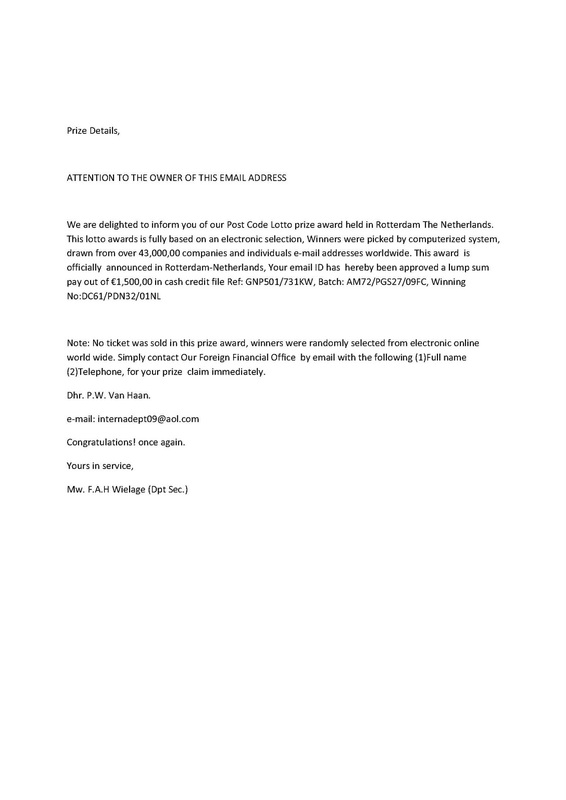 Sending Your Name, Phone Number, House Address..
Once Again Congratulation from Microsoft Corporation World Sweepstakes Lottery. use to withdraw your money in any ATM MACHINE in the world. International Passport for proper verification and authentication. Your Email has being Approved !! subject: Your Email has being Approved !! For ICC CRICKET WORLD CUP-2011 TEAM©.